durable and strong, which provides you with a range of benefits. The malleable properties of wrought iron allow it to be sculpted into intricate designs, its strength makes it ideal for use in security installations or balustrades and its durability ensures that you get decades of use out of your wrought iron products. Wrought iron can play a considerable role in the appearance of your home and here at Dean Wilson Iron, we ensure that every one of our wrought iron products is crafted to perfection. Our focus is on design; we make wrought iron creations that give your home a stylish, prestigious and timeless look without compromising on functionality. We understand that you might be seeking a security solution or even a legally required balustrade and we strive to make elegant, aesthetically appealing products available to you, with strength that is unrivalled. To give your home a unique edge, we hand craft each of our products in accordance with our clients’ specifications so you can rest assured that there will be no other wrought iron creation like yours. To provide you with the best finish, we develop and install our wrought iron products using a process that ensures durability and strength. Whether it is inside your home or out, your wrought iron installation will maintain its flawless finish for many years to come. 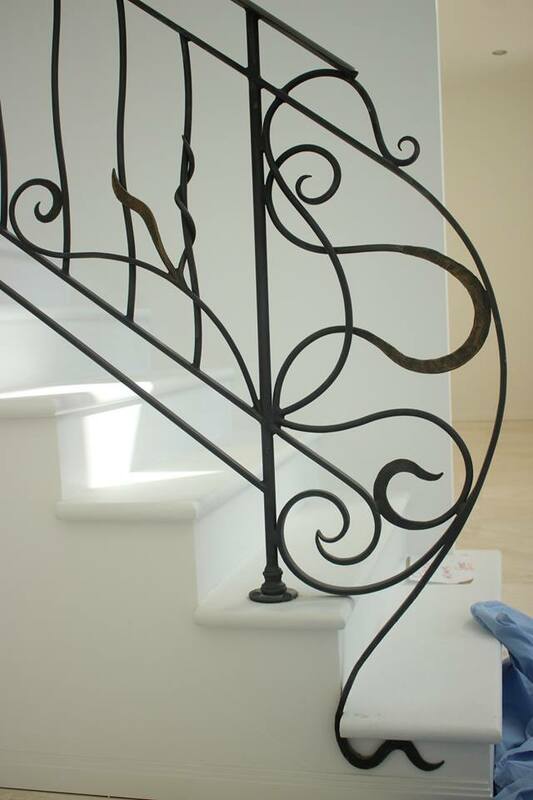 If you are seeking a tailor made wrought iron solution for your home then contact the team at Dean Wilson Iron; no job is too big or too small – we can do anything, from interior balustrades and gates to fences, security products and more. Get in contact with the Gold Coast’s premier iron men for specialised workmanship and the best advice on how to feature the timeless appeal of wrought iron in your home or business. 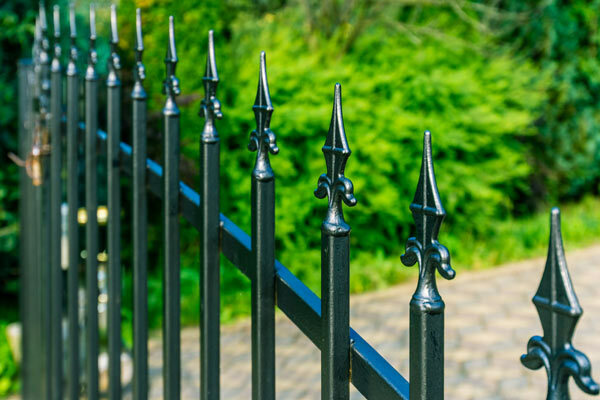 It is quite hard to find designer fences, balustrades or security gates for your home that are both aesthetically appealing and functional, which is why the team here at Dean Wilson Iron offer a comprehensive variety of wrought iron products. We have a great deal of experience working with wrought iron and this has afforded us the expertise necessary to refine our products and offer some of the most intricate and unique designs that the Gold Coast has to offer. In fact, each one of our wrought iron installations is different. We work with our clients to establish precisely what design they would like. We handcraft our products and the result of this, is a degree of craftsmanship, uniqueness and distinction that is very rare in a world of mass-produced designs. Not only does this provide you with a leading edge in design – it also guarantees the upmost in quality and appearance. There are several features of wrought iron that make it perfect for these applications and the first of these is strength. Wrought iron is an incredibly strong material, which means that any potential intruders cannot break it and it will easily support the weight of a person if it used as a balustrade. Additionally, wrought iron is very malleable and this malleability is what allows us to craft the most intricate and detailed designs on the market. 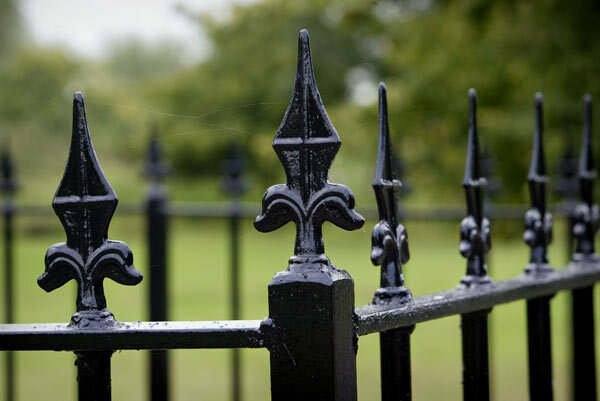 Likewise, the durability of wrought iron is unrivalled when it comes to balustrades, gates, fences and security installations – whether they are inside your house, or exposed to the elements. We take all the precautions necessary to safeguard our products against rust or corrosion, which includes sandblasting the wrought iron, applying a protective layer of zinc, then powder coating the metal; thereby ensuring that it will remain in immaculate condition for many years to come. Offering the best, most personalised service in the Gold Coast and beyond. Bringing your design concept to life with our wrought iron creations. Providing unrivalled quality that ensures both functionality and design appeal. Installing your wrought iron creation to the highest possible standard, to guarantee durability and strength. All of our products are developed with two main priorities in mind – design and functionality – and to bring your designs to life, we have developed an industry-leading approach. We work with our clients to establish the perfect unique design, before handcrafting our products to suit your intended application and installing them in a manner that guarantees strength, aesthetic appeal and longevity. Before we begin any work, we like to explore all of the design options that are available. Our number one priority is you and for this reason, we suggest a brief consultation to discuss the possible design concepts that you may have. We welcome the opportunity to hear from you and strive to develop a clear idea of exactly what you need in terms of looks and functionality. Here at Dean Wilson Iron, we pride ourselves on maintaining complete client satisfaction and this stage of our process is a vital part of fulfilling your needs; it allows you to outline your requirements and seek clarification on any points of confusion. During our comprehensive exploration of your options and design concept, we will provide you with some guidance on the work that will be necessary to make your vision a reality. From this, we can ascertain a series of rough measurements and these will form the basis of our initial quote. Our team aims to make this stage of the process as quick as possible, so as to minimise any inconvenience to you. To ensure this we will issue you with an instant quote as soon as we are aware of the rough measurements. Following the discussion and quotation of your design, we can begin work. We pride ourselves on our workmanship and we offer uniquely handcrafted wrought iron products – each one is unlike any other and can be crafted precisely to your specifications. In fact we are so determined to bring you exactly what you want, that we encourage your input from start to finish. Our experts will keep you updated by way of progress photos, or even a personal inspection, depending on what is most convenient for you. This is a dynamic process that keeps you informed and guarantees a perfectly crafted end product. When the work has been completed to your exact specifications, it will be ready for installation and our team specialise in installing wrought iron products both inside and outside your home. We have a great deal of experience in crafting and installing, so you can rest assured that your wrought iron design will be created and installed to an unrivalled standard of quality. We demand the best for our clients and this means installing your personalised product in a manner that ensures strength, durability and aesthetic appeal. Furthermore, we have the expertise necessary to install wrought iron balustrades in accordance with the legal requirements of residential balustrading. If you have a unique and creative design in mind, or are simply interested in wrought iron fences, gates, balustrades or security grilles for your home, then contact us today. Our team is only too happy to discuss your needs and we can provide you with a rough quote instantly, based solely upon the necessary measurements and design information. If you have any queries or would like to see some examples of our work on homes across Southeast Queensland, then we can be reached through our Dean Wilson Iron Facebook page. #1 I like wrought iron but I am unsure of how it might be designed or what it might cost? The team here at Dean Wilson Iron will guide you through the process – from the design phase to the finished product. Our initial discussion will address the design elements of your wrought iron creation and based on some rough measurements, we can issue you with a quote to give you an idea about how much the process is likely to cost. You can consider the information you are presented with during this stage and make a decision as to whether or not it suits you. #2 How long will it take to complete the work? To ensure the leading edge in creativity and quality we handcraft all of our products, which means that allowing a reasonable timeframe in which to complete the work will ensure the best results. Our average time from design to build is approximately six to eight week, so we suggest getting in contact when you are designing your home or renovation. Every product made by the team here at Dean Wilson Iron is designed to remain flawless and last you for many years. We have complete confidence in the durability of our wrought iron creations and as a testament to this we offer a ten-year guarantee on manufacture, installation and rust. #4 I think wrought iron would look great on my home but I am concerned about possible rust? 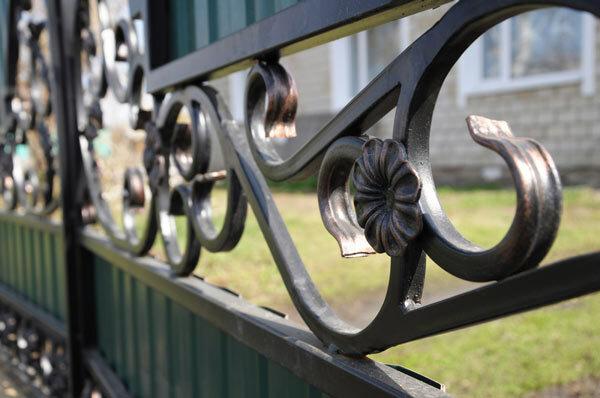 Some metals do have the potential to rust – particularly when considering the coastal geography of the Gold Coast – and for this reason, wrought iron products need to be finished correctly. To safeguard against rust, we start with a grade-three sandblast, before applying a protective zinc coating and a decorative powder coat or unique hand-rubbed natural iron finish. This protects your wrought iron masterpiece from rusting or corroding and guarantees over a decade of perfection.